Medieval Tailor's Assistant, The - 2nd Edition - Silman-James Press, Inc. 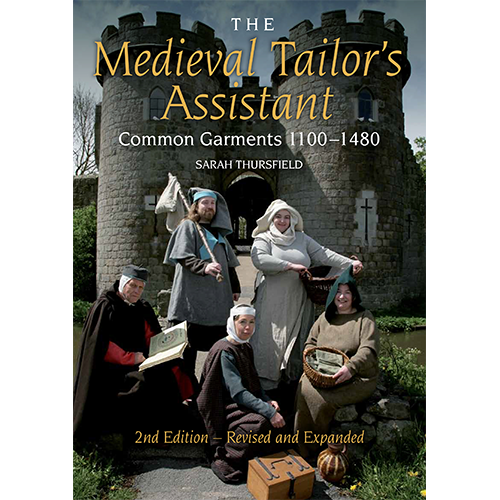 The Medieval Tailor’s Assistant is the standard work for both amateurs and professionals wishing to re-create the clothing of Medieval England for historical interpretation or drama. This new edition extends its range with details of fitting different figures and many more patterns for main garments and accessories from 1100 to 1480. It includes simple instructions for plain garments, as well as more complex patterns and adaptations for experienced sewers. There are clear line drawings, pattern diagrams and layouts and over 80 full-color photographs that show the garments as working outfits.